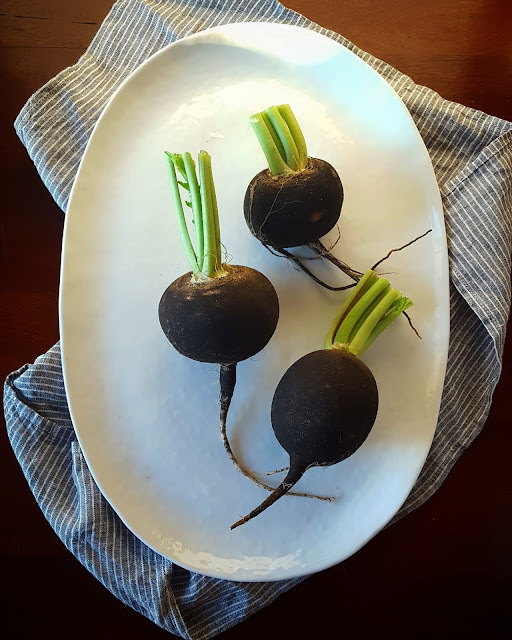 In my last week's order from Green Grocer, I received black radishes and Chioggia beets. I also won a super cool little mandoline/slicer that I've been obsessed with for days. 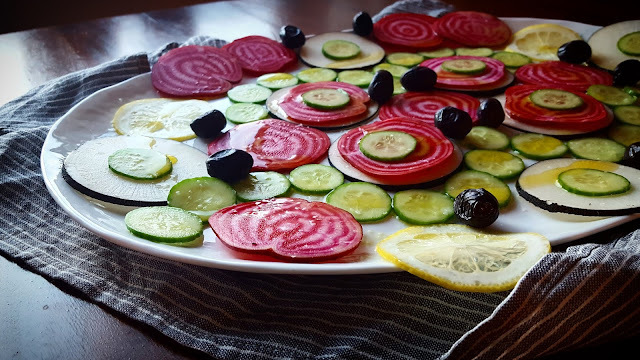 I used all these things to make a pretty plated salad that's colorful, crunchy, and vegan! Black radishes look like turnips but taste like regular radishes. You don't have to peel the skin. Use them in salads or pickle them or roast them! 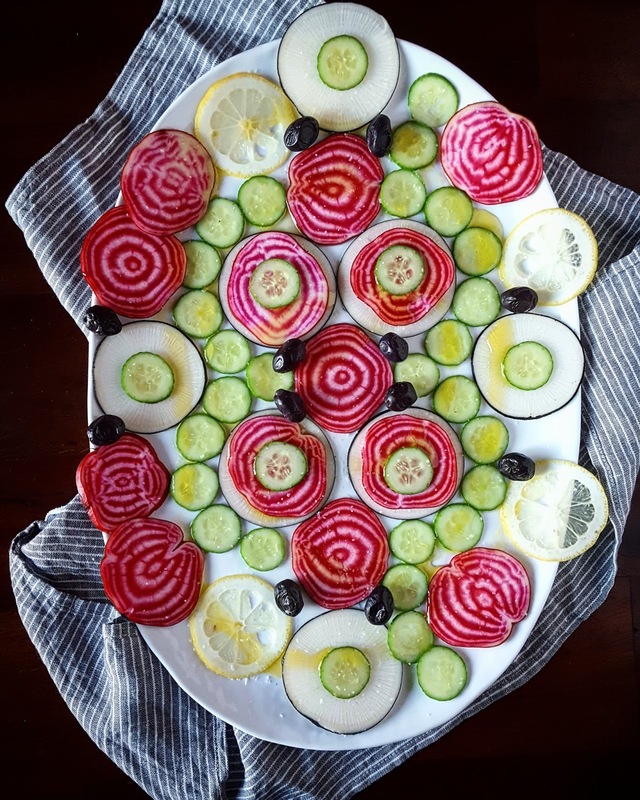 Chioggia beets, also known as candy striped beets, have a beautiful pattern inside. If you can't find these, use regular beets or golden beets. Crudo is thinly sliced raw fish drizzled with acid and olive oil. Think thinly sliced raw salmon or scallops topped with fresh lemon juice and fruity olive oil. 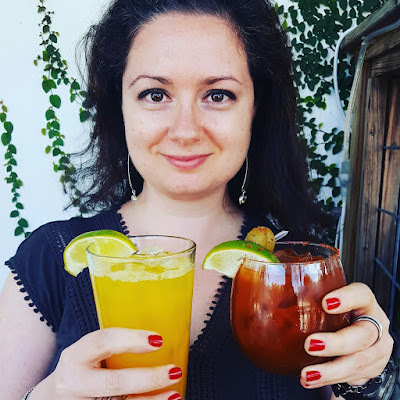 I decided to do something similar with vegetables! 1. Arrange the vegetables and lemon slices in a pleasing pattern. 3. Dress the salad with lemon juice and olive oil and salt. The radishes were really spicy. I ended up cubing and roasting 2 out of 3 radishes in 425F degree oven for about 40 minutes simply drizzled with olive oil and seasoned with salt.